On April 6, 2017 the U.S. Department of Labor’s Occupational Safety and Health Administration announced a delay in enforcement of the crystalline silica standard that applies to the construction industry in order to conduct additional outreach and provide educational materials and guidance for employers. 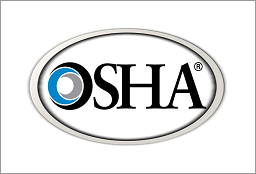 OSHA expects employers in the construction industry to continue to take steps either to come into compliance with the new permissible exposure limit, or to implement specific dust controls for certain operations as provided in Table 1 of the standard. Table 1 matches common construction tasks with dust control methods, so employers know exactly what they need to do to limit worker exposures to silica. Construction employers should also continue to prepare to implement the standard’s other requirements, including exposure assessment, medical surveillance and employee training. For more information, visit www.osha.gov or contact a Knowledgebroker. Is your organization looking for a way to streamline the audit process for safety and compliance? 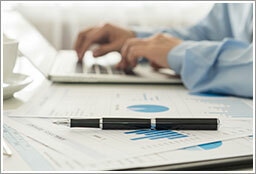 Do you struggle to create and maintain audits, surveys or questionnaires? R&R’s Risk Management Center offers an easy-to-use, web-based solution to help manage the audit process from start to finish. The Audit Track® provides your organization with the tools you need to proactively manage workplace safety, employee training, IIPP/APP safety program development, and OSHA compliance tracking, reporting and analysis. The tool also allows managers to oversee safety audit, inspection and compliance reporting needs, as well as confirmation that all tasks are assigned, completed and recorded – ensuring your workplace remains safe and compliant. For more information on R&R’s Risk Management Center and the Audit Track®, visit www.myknowledgebroker.com/RMC or email Safety@rrins.com.